Join us for one of FIU's greatest traditions: Parent & Family Day 2018! 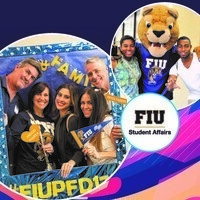 Parent & Family Day is a great way for parents and family members to experience FIU, celebrate your student, interact with members of the FIU community, and show your Panther Pride! All events are open to parents, family members, and their current FIU student(s)! Event Description: Join President Mark B. Rosenberg, Orientation and Family Programs' Staff, FIU Faculty/Staff, and other Proud FIU Parents for our annual brunch. Event Description: Interested in seeing our beautiful campus, state-of-the-art facilities, and/or world-renowned art museums? We will be offering tours of a number of different spaces all across campus! Event Description: Join representatives from Alumni Affairs, Annual Giving, and the newly-formed Parent & Family Council for a cup of coffee or ‘cafecito’ and mingle with other FIU family members. Event Description: Family and friends of residential students are invited to Housing and Residential Life’s Inaugural Reception to meet and greet the staff and to enjoy refreshments and light fare. Event Description: Join our FIU Alumni Association as we prepare to cheer on our FIU Panthers to a victory agains UMASS! Event Description: Cheer on our FIU Panthers from the Parent & Family Day section at the game! *Reminder - if you would like your student to be able to sit with you at the game you will need to purchase them a FIU Football Ticket. There are additional events including dinner and a movie, laboratory tours and more on Friday, September 14th. Details can be found at go.fiu.edu/FIUPFD18.